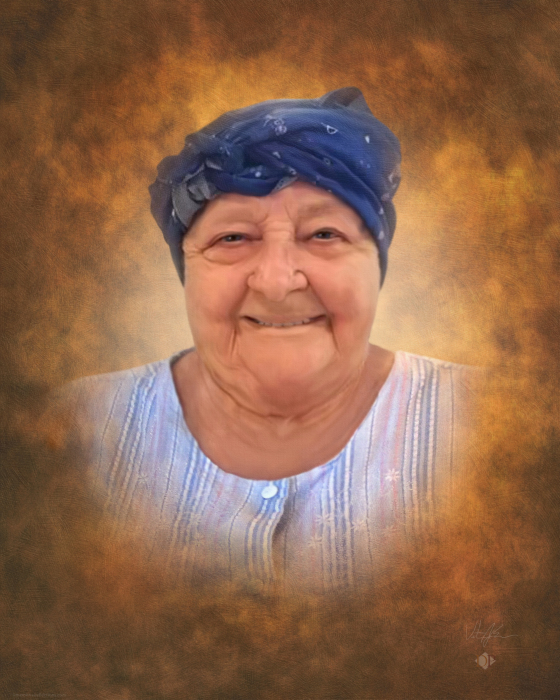 Florence Lucille Rissel, 82, of Meridian passed away Saturday, March 16, 2019 at Creekside Transitional Care and Rehab in Meridian, Idaho. She was born April 8, 1936 to Elmer and Ethel Thornberg in Baker, Idaho. Florence did most of her growing up in Baker, Idaho. Not too long after high school, she met and married Everett Elam. To this union were born 3 girls, Deloris, June and Loretta. Florence and Everett later divorced around 1975. In 1980, Florence met and married Gene Martin Rissel in Kansas City, Missouri. They lived in Missouri for a short time and then moved to Emmett where they lived until Gene passed away in August of 2006. After Gene’s passing, Florence moved to Payette and lived there till about 2014 when she moved to Meridian to be closer to family and resided there ever since. Florence was preceded in death by her husband, Gene Rissel and her daughter, June Backenstos. She is survived by her daughters, Loretta Rowton and Deloris Pond, 8 grandchildren and 20+ great grandchildren.